When you purchase a vehicle from Easterns, we want you to be absolutely happy with your new car. 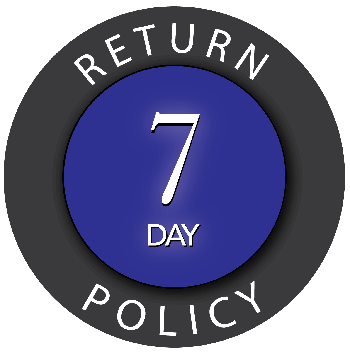 That is why we offer a 7-day Return policy, within the first 7 days you can swap your car for any other in stock at Easterns that matches your budget and credit (see store for details). Although this is a final sale (subject only to certain conditions subsequent if you have executed a RISC payable to Dealer on its face), if you are dissatisfied with your purchase, we give you a one time option to return the Vehicle for a store credit to be used for any other vehicle then existing in our inventory with approximately the same or greater purchase price as the Vehicle (“Replacement Vehicle”). You must return the Vehicle and use your store credit for a Replacement Vehicle within 7 calendar days of the date of this Order. If you do not exercise this right within 7 calendar days of this Order, your right to return and exchange the Vehicle using the store credit will expire, time being strictly of the essence. You understand that you have a one time option to return the Vehicle for a store credit only and not a right to simply return it. You understand that you have the right to use the store credit to replace the Vehicle solely with other vehicles existing within our inventory on the date of the return for store credit. Your right to return the Vehicle for a store credit is conditioned upon the Vehicle being returned in the same condition as when it was delivered to you, reasonable wear and tear excepted; the Vehicle having been driven not more than 500 miles between the date of this Order and the date of the proposed return and exchange for a Replacement Vehicle; and your ability to pay the then negotiated purchase price of the Replacement Vehicle. Should you return the Vehicle damaged in any way other than reasonable wear and tear, you understand that we may decline to accept the return of the Vehicle or deduct from your down payment the cost of repairing any damage that occurred to the Vehicle while the Vehicle was in your possession or under your control. Should you elect to use the store credit and exchange the Vehicle, you agree to execute any and all documents reasonably requested by us in order to conclude this exchange, including but not limited to new credit applications, retail installment sales contracts, buyers orders, and any other closing documents. You understand that in order to facilitate the purchase of the Replacement Vehicle, you will be required to obtain new financing for the balance of the price of the vehicle for which you are using your store credit. You hereby acknowledge and agree that you do not have the right to return the Replacement Vehicle for a store credit at any time.any time.